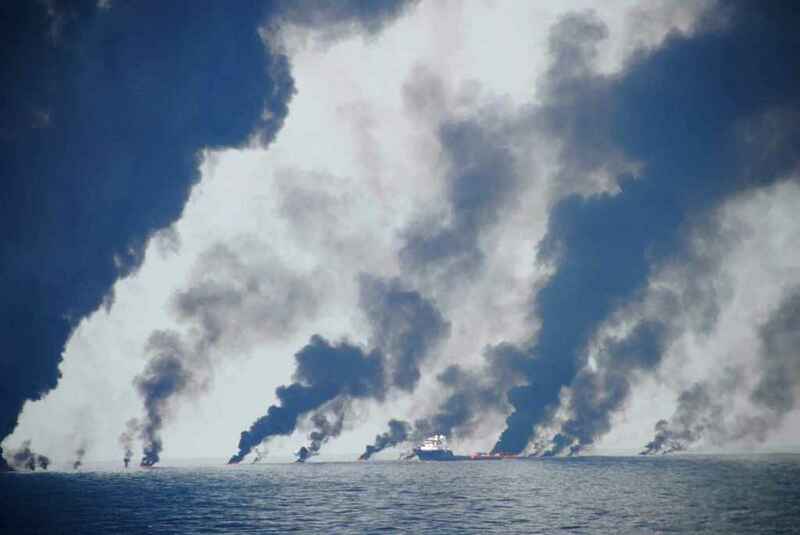 At long last BP is finally standing trial (before a single judge, not a jury) for civil damages caused by their catastrophic blowout in the Gulf of Mexico nearly three years ago. That blowout caused an explosion and fire on the massive Deepwater Horizon drill rig that killed 11 workers, injured many others, and sent the rig to the ocean floor nearly a mile below. 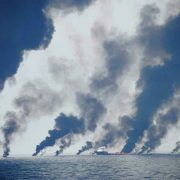 And the resulting oil spill was the nation’s worst to date, spewing some 172 million gallons of crude oil into the Gulf. 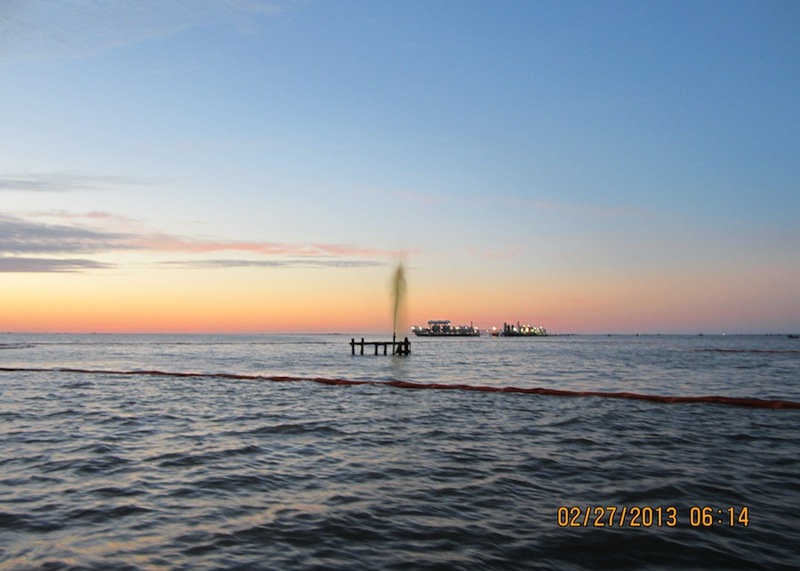 In-situ burning of oil slicks during spill response operations in the Gulf of Mexico, June 22, 2010. Photo courtesy Dr. Oscar Garcia, Florida State University. Given Shell’s serial blundering during their Arctic drilling program last year — problems so severe they just announced today that they’ve scrapped the entire program for 2013 — we have to wonder if BP is truly a “rogue” or if their level of risk-taking is more or less the norm throughout the offshore oil industry. I think that’s a shared responsibility, to manage the safety and the risk. Sometimes contractors manage that risk. Sometimes we do. Most of the time it’s a team effort. I’m not a risk-management expert but it’s my understanding that this diffusion of responsibility, and unclear definition of authority, is exactly the kind of management muddle that leads to major system failures. In other words, somebody has to clearly be in charge at all times. The second phase of the trial will determine how much oil spilled into Gulf waters, the key to determining how big a fine BP will pay and how much money will go toward Gulf restoration. That will pit lawyers against scientists. Place your bets. 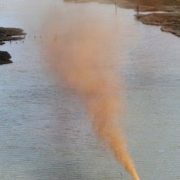 Oily geyser erupting from wellhead damaged by a work boat Tuesday. 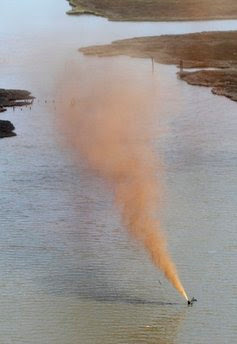 Photo courtesy U.S. Coast Guard. This is reminiscent of a similar incident in the Gulf back in August 2010, when an abandoned wellhead in Barataria Bay was also struck by a vessel and spouted oil 100 feet into the air. Both incidents underscore a serious problem identified in an investigative report by AP way back in 2010. They identified more than 27,000 abandoned wells in the Gulf, and found that thousands of these wells are allowed by federal and state regulators to linger for many years in a state of quasi-abandonment: they are “temporarily shut-in” or “temporarily abandoned,” meaning the steel shutoff valves have been closed but the wells have not been permanently plugged with cement. Regulations for temporarily abandoned wells require oil companies to present plans to reuse or permanently plug such wells within a year, but the AP found that the rule is routinely circumvented, and that more than 1,000 wells have lingered in that unfinished condition for more than a decade. About three-quarters of temporarily abandoned wells have been left in that status for more than a year, and many since the 1950s and 1960s — even though sealing procedures for temporary abandonment are not as stringent as those for permanent closures. It’s time for the feds and the states to get serious about this ongoing hazard, and tighten up their oversight.